To celebrate Kiehl’s launching at Escentual, we’re giving one lucky person the chance to win their dream Kiehl’s skincare routine! The prize bundle will include a cleanser, a toner, a serum, a moisturiser, an eye cream and a UV protector to keep your skin supported through winter. Head over to Instagram now and leave a comment on our competition post here – simply tell us what your biggest skincare concern is and you could win a skincare routine to help you solve it! 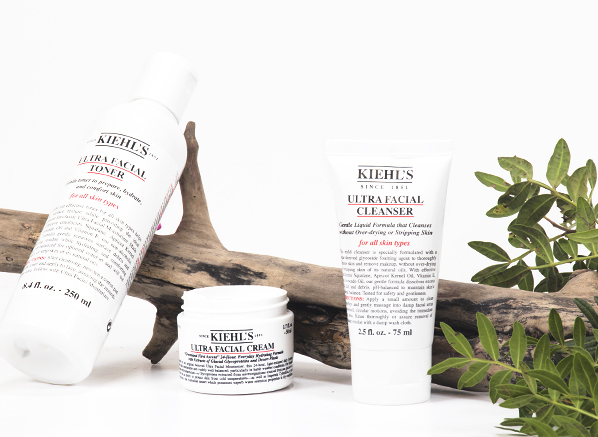 Prize bundle includes: 1 x cleanser, 1 x toner, 1 x serum, 1 x moisturiser, 1 x eye cream and 1 x UV protector from the Kiehl’s skincare collection as prescribed by our in-house skincare experts. Ends Monday 5th November 2018. No purchase necessary. A purchase will not improve your chances of winning. Contest begins 1st November 2018 and ends 5th November 2018. Winner will be selected in a random drawing on or about 5th November 2018. One prize winners will be drawn. If the winner doesn’t respond within 7 days, the competition will be redrawn. Prizes must be accepted as awarded; not redeemable in cash or credit. This entry was posted on Thursday, November 1st, 2018 at 9:38 am and is filed under Competitions, Skincare. You can follow any responses to this entry through the RSS 2.0 feed. You can skip to the end and leave a response. Pinging is currently not allowed.